Great choice of selected wines, and locally brewed bottled fine ales and beers. Our wines are carefully selected to offer all our customers the best choice of quality and value for money – we work very closely with our wine merchant EWGA Ltd to ensure only the best wines from around the world are available to you. 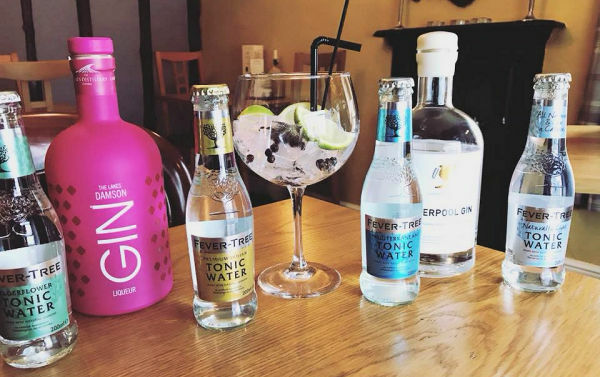 Come a sample one of the 20 Gins we have with a selection of fevertree tonics. In recognition of great wealth of local beers in South Lakeland we provide and promote a range of local beers to complement your food, many of which are award winners. At The Priest Hole you can now expect the same attention to detail with the service of beers as you find with wine, with a full description and tasting notes when you purchase a glass of beer.